Not since the 1960s, during the civil rights era, have Americans acted to commandeer public places like parks in anything like the manner seen during the recent “Occupy _____” protests. Americans are not prone to take to the streets and other public places en masse to protest governments or social conditions. The occupation of public places across the U.S. as a protest against income inequality, the conduct of various financial and governmental institutions, and other broad social concerns may have originated online. 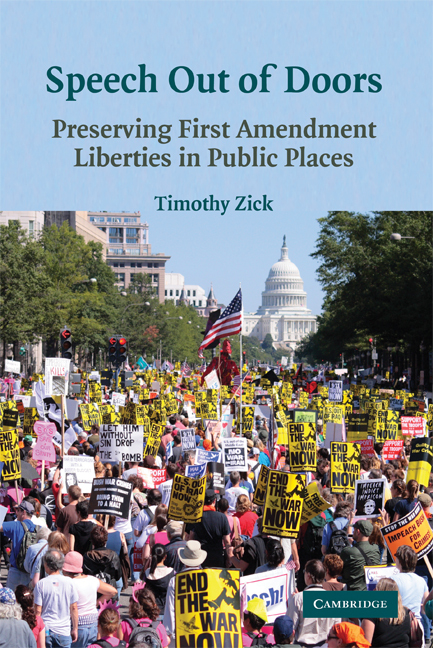 But it has been a powerful reminder of the importance of public places to fundamental First Amendment freedoms of speech, assembly, petition, and association. Even in a digital era, place matters to public debate. This and more specific First Amendment themes that I examined in my book, Speech Out of Doors, have been on full display during the occupation movement. Among other things, the occupations have demonstrated the close connection between place and message; the deep human and social connections people have to actual places; the solidarity and communicative values associated with public venues and events; and the attempt to inscribe public places with messages and memories. Occupation does all of these things in a manner that no online form of communication of protest possibly could. There is something fundamentally different about being there. There is a sense of place, of solidarity, of community. There is the tangible, visible condition of public unrest. There is the disruption of routines (ask any Wall Street trader). There is the symbolic defiance of authority. There is the possibility of conflict with authorities, who often generate movement solidarity and public sympathy through the use of excessive force. These are just some of the reasons protesters chose to occupy actual, physical sites rather than websites. There has been much speculation regarding the specific demands of the occupiers. What do they want? What is the point of the occupations? If this moment is to become a movement, protesters and supporters will have to wrestle with and ultimately decide such questions. Although it is not necessarily a constitutional movement, occupation can be rooted in the simple and elegantly expressed expectations of the U.S. Constitution’s preamble, which states: “We the People . . . in Order to form a more perfect Union, establish Justice, insure domestic Tranquility, provide for the common defence, promote the general Welfare, and secure the Blessings of Liberty to ourselves and our Posterity, do ordain and establish this Constitution of the United States of America.” Many of the protesters believe that social and corporate greed, aided by governmental incompetence and complicity, has deprived the vast majority of citizens (the “99 percent”) of these and other essential benefits. The system is perceived by occupiers and their supporters as broken, unfair, unjust, and corrupt. Thus, in general terms, the protesters are demanding things like equality, opportunity, security, justice. Those are all very broad and amorphous claims. Thus, in the short term, the occupiers have settled on securing public space for the airing of their grievances. In that sense, occupation has created a critical sense of place for a sizeable group of Americans who feel socially, politically, and economically displaced. The recent, forcible removal of tents in formerly occupied parks in places like New York City and Oakland both symbolizes and exacerbates the protesters’ condition of displacement. The occupiers always knew that they could not remain in these places forever. Their fundamental concerns will resonate long after the tents, and even the people, are no longer visible in parks and other public places. But the images of the occupation will be deeply inscribed in those places, and in public memory.